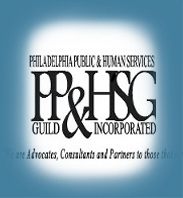 About the Founder of PP&HSG, Inc.
Bill Simon was educated in the Philadelphia Public School System, attended Community College of Philadelphia, Temple University and graduated from the Lincoln University's Master of Human Services Program. Bill Simon's effective career in the Human Services spanning over several decades began in 1970 as a Delinquent Youth Community Organizer in the South Philadelphia Housing Projects, Tasker Homes, for the City of Philadelphia's Youth Conservation Services. Our mandate was to eliminate, through direct front-line magagement, youth gang related murdes. Through the late 1970's and 1980's he served on the front-lines at juvenile detention facilities such as Youth Development Center at Cornwell Heights, and the City of Philadelphia's Youth Study Center. The late 1980's he served on the front-line delivery of Drug and Alcohol Counseling for Outley Professional Services and the Wharton Center Homeless Shelter; both in the inner-city of Philadelphia. The early 1990's, he served at the John F. Kennedy Mental Health and Retardation Center(JFK), at various front-line positions culminating in an appointment as Site Director, of JFK's 36 Bed Dual Diagnosis Adult Respite Homeless Shelter. He returned to the City of Philadelphia's Department of Human Services Child Protective Services Division, and was called upon to undertake many assignments by the administrators from 1994 to 2011.Assignments such as Child Abuse and Neglect Intake Unit Investigator, Emergency Placement Unit Social Worker, Family Preservation Unit Social Worker, Special Needs Housing Unit Social Worker, High School Drop-Out Re-Engagement Center Social Worker. He also appeared on the,Evening News with Katie Couric representing the DHS/School District of Philadelphia's jointly run High School Drop-Out Re-Engagement Center. Lastly he went back to The Department of Human Services as a Social Services Program Analyst in the Finance Division. There he prepared vendors contracts to conform with the requirments of the city funded request for proposals. His yearly portfolio of 30 DHS Vendor Contracts secured payment for subcontractorr services rendered to the At-Risk Youth in their care. He retired October 28, 2011, after 30 years of Civil Service. Presently, he is Founder and President of the Philadelphia Public and Human Services Guild, Inc. (PP&HSG), consulting the Management Divisions of various Grassroots "Helping" organizations. He advises them on the latest Best Practices of Human Services Front-Line Delivery. Bill Simon has been cited twice by the City Council of Philadelphia for work he has performed with At-Risk Youth. Bill Simon previously hosted the 900AM WURD, "Walk in the Light" Masonic radio program. He also held several leadership positions in the fraternity, the Most Worshipful Prince Hall Grand Lodge of Pennsylvania. He has also served on many Community Civic Organizations’ Boards.